Yesterday was Tristan's birthday. 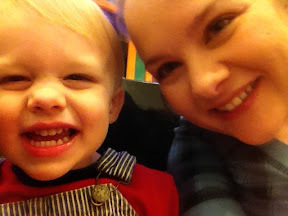 I can't believe he's 2!! Tristan and I spent the day cuddling. After naptime, we got ready and went to my mom and Dad's so he could open his present. 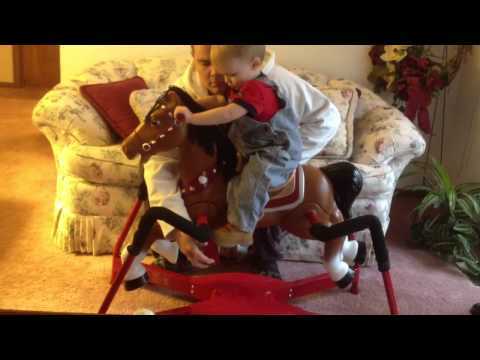 He loved his horse! You also got to see in the video the argument he and I had all day: whose birthday it was. He argued with me all day that it was Uncle Jared's birthday! It wasn't until after presents, cake, and the whole evening's worth of fun that he decided it was his birthday after all. 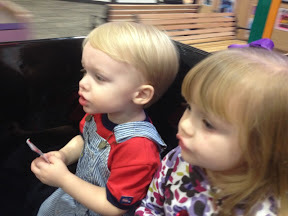 After opening his present from Grandma and Pawpaw, we headed to Billy Bob's to celebrate. We invited immediate family and the Arthurs. 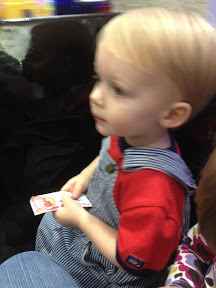 Those who came were: Grandma and Pawpaw, Mim and Papaw (Kim and John), GG and Suesue (Tyler's Granny and Aunt), Katie and Curt, Brittany, Addi and Rick and Tammy (Brittany's mom and dad). 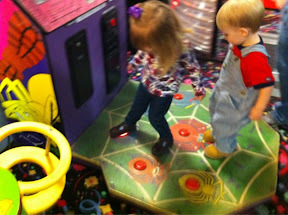 The kids had a blast riding the rides, throwing balls, whacking moles and spiders and seeing the show! 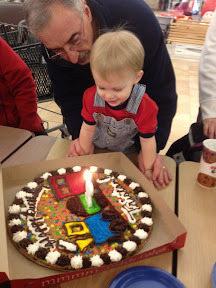 Then we went over to the food court where we had cookie cake! 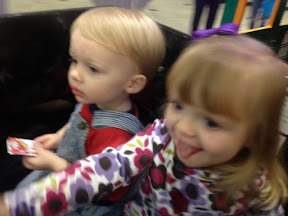 After cake we went to ride the new train in the mall. 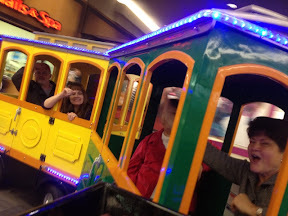 It is a trackless train that makes a complete circle of the mall! 10 of us rode it. Every time we went around a curve he looked back and hollered, "Hi edybody!" to the rest of the family on the train. 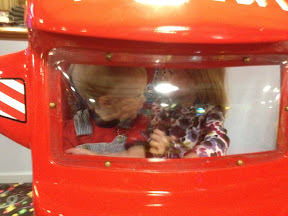 Tristan and I rode in the front car with Brittany and Addi. It was a great night! I can't wait for the big party next weekend!